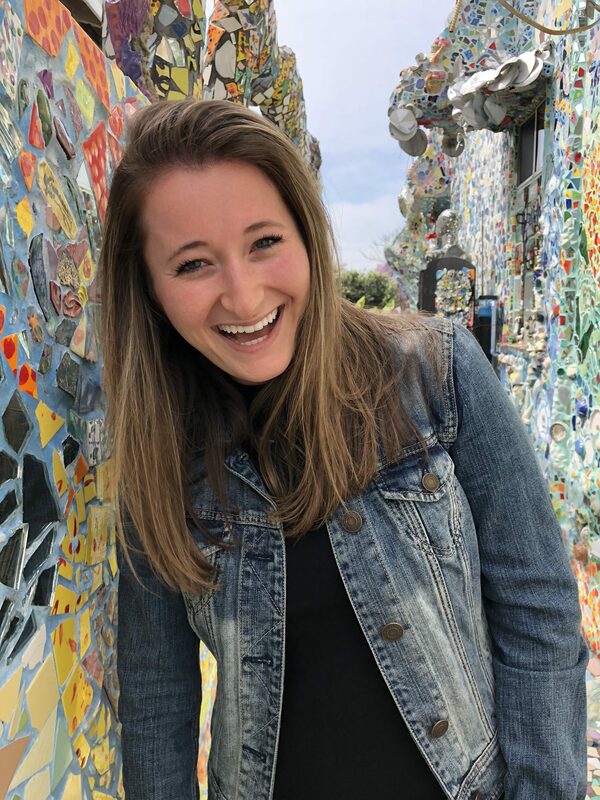 A finalist in Film Pipeline with her short Gloria Talks Funny, writer/director Kendall Goldberg is well on her way to establishing a notable presence in the industry. Her first feature, When Jeff Tried to Save the World, starring Jon Heder (Napoleon Dynamite), released in December 2018—a project she started developing prior to her sophomore year at Chapman University. You’re a recent graduate and, to the certain envy of writer/directors everywhere, you’ve already completed a feature (When Jeff Tried to Save the World). Forgive the simplistic question, but. . . how did you pull it off? I started writing and developing the film the summer after my freshman year. I was overly eager to keep making things, but my intention was never necessarily to make a feature right away. It was just make movies, make movies, make movies. When my childhood friend and writing partner Rachel Borgo—who was at school in Chicago while I was in LA—and I started talking about this idea of making a film in a bowling alley, it quickly snowballed into a story that was clearly too big for a short. I was constantly taking meetings, getting advice from whomever would talk to me. To be honest, I can’t quite recall how it all started, I just know it did. There was never a moment of decision where I was like, “I’m going to make a feature now.” It just kind of happened. And throughout the process of trying to make it, which took about five years, I wanted to do anything I could to forward that process. That meant being productive and creative in any way possible. It took about five years, and I went into production a couple months after I graduated. I made the feature into a short film as a part of the process when I was trying to find financing. That was a great learning experience, as I was able to work with my cast (most of which are also in the feature version) and shoot in the same bowling alley a year before the feature. It was a great way to practice and refine our script/story. I used this short as a proof of concept to show to investors. It played at a few festivals and opened a lot of doors for us. The short films you made prior to the features: in what ways did that prepare you? The big mistakes and learning experiences? Since Jeff was also a short beforehand, was it necessary to do that as a proof of concept in order to get the feature produced? At first, I really did not want to condense the feature into a short film. I saw that as a step backward, when in reality, it ended up being three steps forward. The short became an essential part of the process, not only for financing, but for me as a director. It challenged me in ways I needed to overcome before making my first feature. It helped prepare me, as did the other short films I made before the feature happened. While trying to make this movie, I made a total of four short films and one (mock) feature (that I will probably never release. . . or maybe I will later in life). I knew I always needed to keep creating, especially when summers would go by and I didn’t have the money to make the feature yet. These projects helped me continue to stretch muscles, and every filmmaker knows, with each project you face unique problems and learn tons of new things. In your Film Pipeline finalist short Gloria Talks Funny, one of the biggest draws is the lead (played by Candi Milo, a wonderfully talented actress we weren’t previously familiar with). Really the whole cast was impeccable. Always curious to know how meticulous one has to be when casting. Was it a process, or did you connect with these actors through referrals? Specifically for Gloria Talks Funny, that film was inspired by and written for Candi Milo (and only Candi Milo). She and I had worked together on a couple of projects before, and since then we were always talking about a film we wanted to make together. The inspiration for this story came from her successes and her struggles in the voice-over industry. She’s a mega-talented voice-over actress who’s worked for many years, voicing some of the world’s best cartoons (Dexter in Dexter’s Laboratory, Astroboy, etc.). We took her experiences of being a woman over 50 in such a difficult industry and put that into a dark comedy. So casting-wise, she was locked in when I started the project. I mostly find my cast from people I know or personally reach out to because I admire their work. I hold auditions, too, because I think it’s important to see all your options through the casting process, but usually when I start writing a project, I have a very clear vision (or at least some references) of who I can picture as each role. It’s tough to work that way, though, because you have to keep yourself from becoming locked into the idea of just one person, obviously in case you don’t get that person to play the role. Candi brought a lot to the story and its authenticity. Her real-life experiences helped shape what I ended up putting on the page, and thus, the screen. She definitely brought a sense of familiarity to the film, and since she could relate to a lot of aspects of the story, I think it became a very personal project to her. You have such a huge head start as a director, so I’d imagine advice for other writer/directors would be as current and relevant as possible. If you were to pick one or two core fundamentals, logistical or creative, to pass along to the college student who just graduated, or the filmmaker who’s getting ready to make their first short or feature, what would they be? If you start letting the ‘no’s’ get to you—which you hear way more often than any ‘yes’s’—you’ll scare yourself away from being great and accomplishing your goals. You can’t listen to the people who don’t believe in you. Let them fuel your fire. The way I think about it is, I’d rather get a ‘no’ than a maybe. If he/she doesn’t want to jump on my train, I don’t want them there. Keep your train moving, and don’t let others slow it down. And I truly believe that everything happens for a reason. All of the hurdles along the way are there to push you to the people / places / things that you’ll actually need for your project. Think about it this way: if you believe in yourself and your project, your movie has been made in the future. In the present, you’re on the journey to figure out exactly how it gets made. Who do you cast? Where do you get the money? What are your locations? Etc. 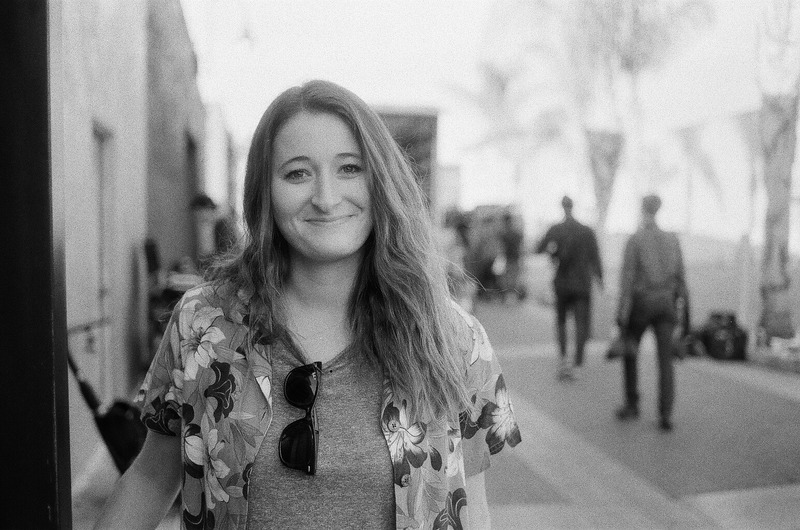 Originally from Chicago, 23-year-old Kendall Goldberg is an LA-based writer, director, and producer. Kendall is fresh off the release of her debut feature When Jeff Tried to Save the World, starring Jon Heder (Napoleon Dynamite) and Jim O’Heir (Parks & Recreation). It was awarded the International Film Critics’ (FIPRESCI) Prize for Best Directorial Debut at the 2018 Heartland Film Festival and the Indie Vision Breakthrough Performance Award at the 2018 Twin Cities Film Festival. The film is currently on all VOD platforms via Gunpowder & Sky. Kendall graduated with a B.F.A. in Film Production from Chapman University. While there she was selected as a Marion Knott Scholar and was mentored by Producer Richard Gladstein (Pulp Fiction, The Hateful Eight). She was honored with both the Women of Chapman Endowed Filmmaker Grant and the Zonta Award for her thesis film Gloria Talks Funny, starring Candi Milo (Dexter’s Laboratory, Astroboy). Gloria went on to screen at over 50 festivals and won several awards, including a $60,000 Panavision New Filmmaker Grant. Her doc short Dempsey the Diabetic Superhero was a Student Academy Awards Semifinalist. Kendall signed with Chicago-based commercial / music video production company StrangeLoop and directed a series of six videos for Walgreens and Second City Works. She also directed a music video for Chicago hip-hop artist Appleby, “Lady Sunshine.” She was selected as a mentee for the 2019 Women In Film Mentoring Program.